The 3/4 sleeve top has a satin ribbon tie at the neckline and can be worn on ~ or ~ off the shoulders. 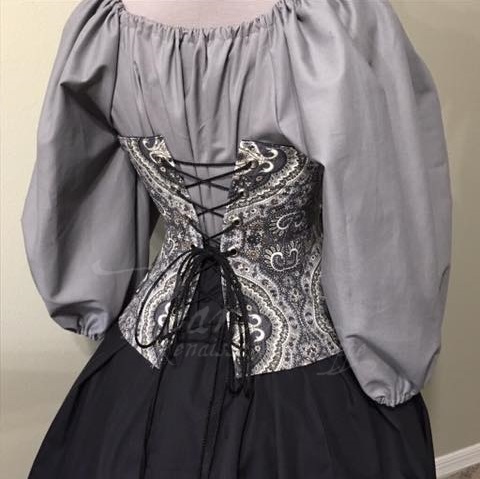 The corset is fully lined with rubber tipped flat steel boning for support. Machine pressed grommets and ties. 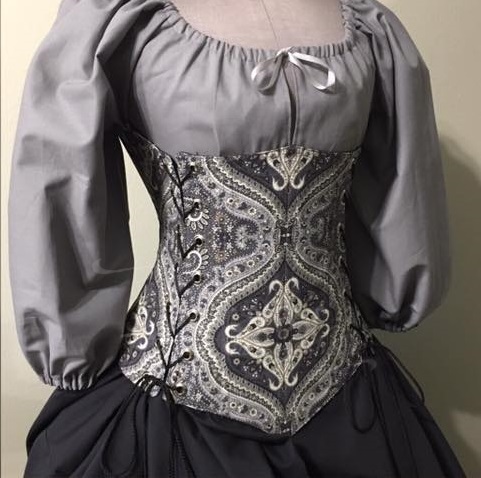 When measuring for a corset, please deduct 1-3" for a proper fit from your natural waist.